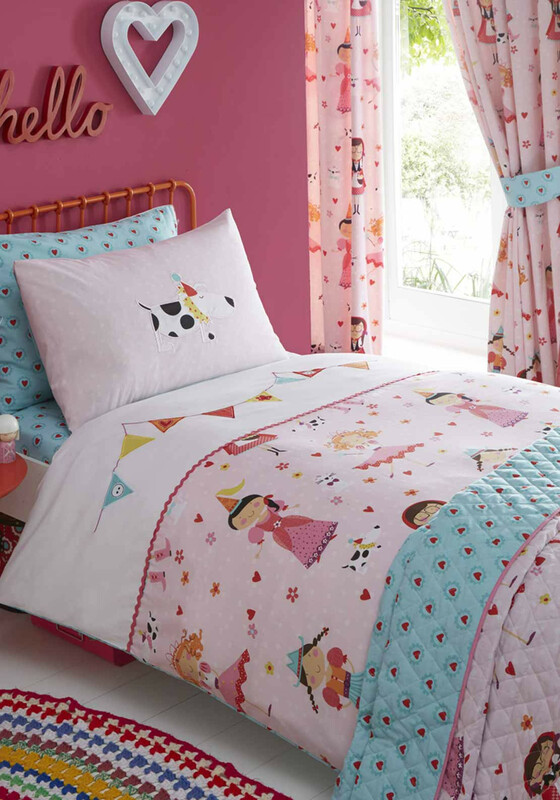 A beautiful duvet set from Kids Club that will bright up any child’s bedroom! Decorated with a princess dress up theme, this beautiful duvet set will be perfect for any little girl who loves to play dress up! This duvet set also matches the Dressing Up Pleat Lined Curtains also by Kids Club.